Developed in the context of a research residency at the Jan van Eyck Academy as part of the Imaginary Property Research Project of the Design department. Published by, and produced with the support of: HTV, Ijsberg. 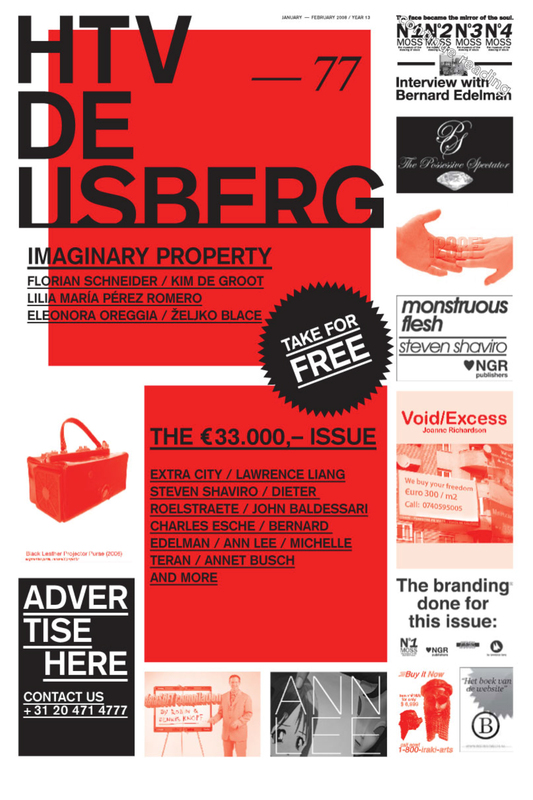 Undermining the borders between text and image, between private property and public space through the design of ‘imaginary’ advertisements and (ironically) deconstructing some of the basic conventions of a magazine, Imaginary Property curated and designed the 77 issue of HTV-De-Ijsberg. investigating new fields of image-production beyond the hard-coded notions of the commercial versus the editorial.